“Shredder” has a new cover, and I’m totally jazzed over it! A lot of times I can’t put a finger on the exact moment or circumstances that inspired a new book. But this is one where I remember exactly where I was and what I was doing when the idea hit. What a miserable way to learn to ride! I had my skis in the back of my truck (just in case) and the whole way down the mountain I was thinking, “Soon as I’m down, I’m gonna chuck this board as far as I can throw it and get my skis!” Man, it was just terrible! I couldn’t do a thing, and I was spending more time on my rear end–or my face–than I was on my board. Well, things got a lot easier after that. And if you’ve ever ridden, you know that it’s actually easier to learn than skiing. 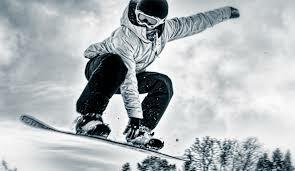 After one season, most riders can shred better than skiers who’ve been at it for two or three years. And I was hooked! There was a time my first season when I went riding every single night for more than a week. There’s a resort called Brighton that offers inexpensive night passes, and I’d load my gear up every morning, go to work, and then head straight to Brighton as soon as I was done for the day. And it was just awesome. Brighton has a chair called Majestic (it was a two-rider lift at the time, maybe it still is) that went right over a terrain park. You could ride and be entertained by all the people crashing and going yard sale. Anyway, one night I was riding Majestic over the park, watching all the daredevils risking life and limb and it hit me: I wanted to write a book. More specifically, I pictured a teenager boarder riding the lift, and having a tough, heart-felt conversation with someone older. I wondered what could have prompted such a conversation . . . and I was off and running. A bit of trivia I’ve never shared before, not with anyone. Most of my books have a “theme song.” Some song that reminds me of the story, and that motivates me when I’m working. The theme song to “Shredder” is “Shakedown” by Bob Seger. (Long story.) Total coincidence, but just as I was finishing this post, “Shakedown” came on. ‘Course, I had to crank up the volume, and was instantly transported back to the slopes . . .